This shirt I got as a gift says it all. I have a problem with accountability. I know I do. I also struggle with getting into regular writing habits. This weekend, I was reading an interview with Gretchen Rubin, author of “The Happiness Project,” and she listed some routines each writer should get used to practicing. The one that hit me the hardest was the section on “Building Your Team.” This includes the people you surround yourself with (editors, agents, critique groups, etc). I’m afraid this is the main area where I fall short. While I have a small tribe of close friends in real life that help me stay sane, I don’t really have anyone to help keep me accountable when it comes to writing. I think the main problem is that being an introvert, I am too shy to ask anyone to read my writing, unless I am paying them for it. A few years ago, another writer mom friend of mine who also writes young adult fiction asked me to partner with her. We swapped the first few chapters of our novels and critiqued them for one another. After a few weeks, I got discouraged because whenever we would meet to discuss the chapters, she asked more questions about what I thought about her work and could never keep the names of the characters in my book straight, which led me to believe she didn’t really care for it. We eventually quietly gave up on trading chapters. I do well when I take a writing class, participate in NaNoWriMo or hire an editor to work on my manuscripts. 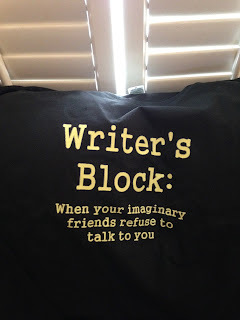 But other than that, there is no one to keep me accountable with my writing, and as a result, getting into a regular writing routine that isn’t related to my paying clients is difficult. In her book “Writer Mama: How to Raise a Writing Career Alongside Your Kids,” author Christina Katz discusses the importance of finding your tribe, through networking events, local writing classes, regional writing workshops and conferences, etc. While I’ve participated in all three of these types of events, my follow through hasn’t been great. I need to take a closer look at the network I already have in place to find some like-minded writers who are eager to find a productive writing relationship. How do you stay accountable with your writing? Do you have a good tribe in place or do you struggle putting yourself out there? I’d love to hear your tips and experiences in the comments below. Renee Roberson is an award-winning freelance writer and editor who regularly writes for regional magazines and blogs. Her website and blog are currently under construction but you can check her out on Pinterest and Instagram in the meantime. Nail on the head! I am slowly gathering my tribe around me, in all areas of my life. The difference I am finding it makes is unbelievable. Renee; I so relate to your article. I too have been to some writing events in the past, and have never found my tribe. This is one of my goals this year, to find one or two people and build my tribe. I know it would be useful, just don't know how to go about it. Planning to attend some writing events and podcast events this coming year for inspiration and to build my tribe because I know it would be so helpful. Renee--I keep accountable with a couple of writing groups. I know I need to write something and have it ready, three times a month, in order to be an active part of those groups. I LOVE the idea of a tribe. Thanks for the post. I live in the middle of nowhere and am relatively introverted. Yesterday I attended a floating reception where local authors shared their books, hoping to meet some like-minded individuals. We will see where that leads. I am also trying to develop enough confidence to share my writing. When I do, I get positive comments, but I am a perfectionist, so I am constantly rewriting and editing, and never feel it is good enough. Hopefully this year I will move out of my comfort zone, find my tribe, and publish my novel. Thanks for the timely post. Good grief. My last comment today. Promise. Judy--I'm so glad to hear you are finding success with a tribe! Onward! Theresa-- Sounds like you are on the right track! While some writing groups may charge a minimal membership fee, are usually chock full of people looking for critique partners and you may find some success there. For example, the Society of Children's Book Writers and Illustrators helps pair people in critique groups. It's hard pushing yourself out of that comfort zone, but very worth it. Sioux--You are not going crazy. In Gretchen Rubin's article she actually said "organize your team" but I thought tribe also worked in that sense. I have your contact information. Would love to swap work sometime! Susan--I remember a post Cathy Hall wrote that talked about the website Fiverr. There are agents on there who charge a small, flat rate to read pages and that could be a good place to start. 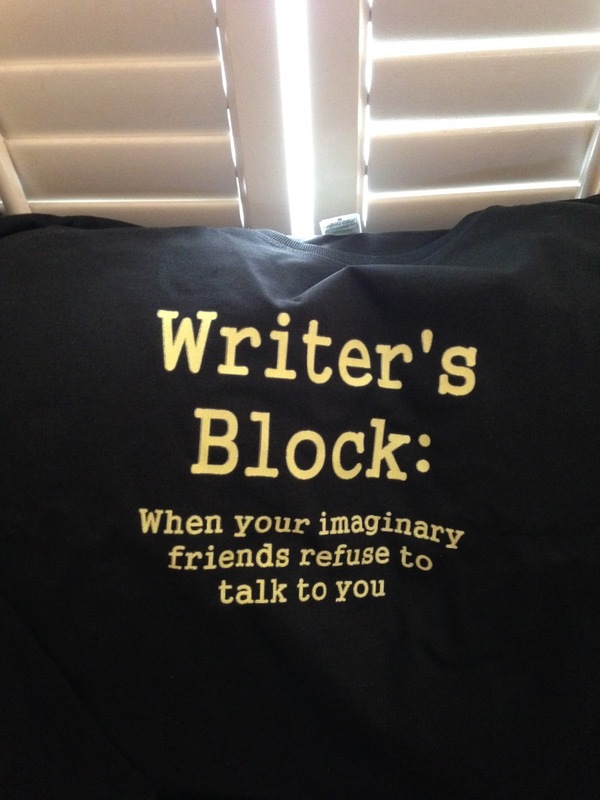 I'm wondering if there may also be writers on there like all of us looking for critique partners? Angela--You are so right. It does feel very much like online dating, doesn't it? It's hard when you're an introverted person but it sounds like we all know it's a goal to work on in 2017. Keep us posted too on how your search is going! Renee, I agree that a tribe is difficult to find, but don't give up, it's worth the wait to find the group that works for you! Writing from an Outline: Room for Improvisation? Mom Nearly Killed the Elf! So You're a NaNoWriMo Drop-Out?